Is Your Family “Pond” Healthy? We normally think of ecologies as biological environments where all the elements relate to and are influenced in some way by each other. And one thing we know about any ecological environment is that it resists change, both from the outside as well as from within. We call this resistance to change homeostasis. Families are social ecologies and just like biological ones, they resist change from the outside as well from within. This homeostasis property, on the good side, helps families and their members be resilient in the face of internal and external pressure. The love and positive relationships endure through the stressors and bad days that inevitably challenge us. This homeostatic force can be a problem when it allows chronic negative patterns to persist and resist change. And, in large part, it’s this force that explains why following good parenting advice often frustrates parental efforts to correct problems with their kids. When that happens — problem behaviors persisting and resisting efforts to change them — it can be a strong signal that the behavior they’re trying to change has become an entrenched part of the social ecology. Mary and Al are parents of Hanna (19), Jenny (16), and Frank (12). Hanna is a standout student and — now in her sophomore — year is doing very well at her university. Frank, while not as academically gifted as Hanna, does well in school, loves all kinds of sports and activities, and is happily engaged in his middle school. Jenny, however, is neither good at school nor does she show any ongoing passion or interest in any productive activity. What she mostly likes to do is socialize. Jenny had been diagnosed with ADHD in the fifth grade and that only confirmed what her parents suspected, but it didn’t really change anything. or even following the rules. Now things had become serious. and was coming and going with little regard for the rules. She might accept a grounding now and then, but would return to her destructive behaviors as soon as the sanctions were lifted. Fortunately, this very challenging situation worked out quite well. Jenny went off to a wilderness program for teenagers who display out-of-control and high risk behavior, and this action broke the immediate pattern in the family and got Jenny some much needed help. While Jenny was away, I worked with her parents and siblings to understand how the pattern developed… the pattern that resisted their best efforts to resolve it. After all, both Mary and Al are good loving parents who supported and cared for all three of their children. When Jenny was born, she was unusually active and hard to soothe and it was immediately challenging for her mother, Mary. Mary did her best and Hanna — even as a preschooler — tried to help her Mom out and to be a big sister to Jenny, a role that made Hanna feel special. When Dad was around, he helped too. In fact, life in their family became about trying to keep Jenny out of danger, calm and entertained. What they really enjoyed was playing with Frank, who was adorable, and very reinforcing to engage with. This became the entrenched pattern in the family — everyone helping and resenting Jenny, while Jenny felt like the bad apple in the bunch, never learning to be responsible, and constantly acting out. Mom and Dad read books on ADHD and active kids. They consulted with therapists, and they sent Jenny to a therapist. They tried many different approaches, but nothing could change the enduring homeostatic power of their family “pond” or ecosystem. In my earlier blog posts and in my upcoming book, Ending the Parent-Teen Control Battle (New Harbinger Publications), I call this enduring, negative, and homeostatic pattern the Control Battle. 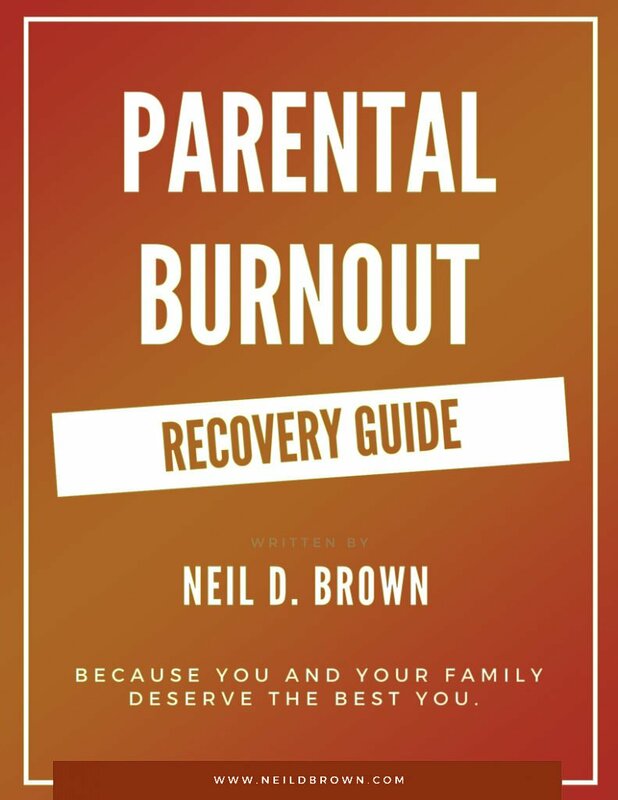 It describes how this powerful force keeps parents and kids — even with the best of intentions — stuck in a negative pattern, always with negative consequences and often with disastrous results. Fortunately, we can defeat this enduring destructive pattern as long as we know what we’re up against. It may not be easy, but when we follow a couple of basic principles, it can be done. BONUS: Not sure if what’s happening in your family is a healthy power struggle or an unhealthy Control Battle? Download my free self-assessment checklist found just below this blog post. While Jenny was away at her program, we worked on those principles. When Jenny returned, she was ready for a positive change — and so was the rest of the family. …was their way of maintaining the entrenched negative pattern. Mom, Dad, Frank and Hanna all needed to talk about their experience of participating in the Control Battle. Together they created a new and healthier vision of the family culture they were committed to living in. It wasn’t a cakewalk when Jenny returned home. She and the family were challenged to find new ways of interacting with each other. Jenny needed to apply the knowledge and skills she learned in her program, including cooperating with random drug testing, regular study time and family time. When Hanna was home, all three kids did activities together. In addition, Jenny was required to choose activities to do with Frank, to show him some attention and embrace her role as big sister. Mom and Dad did some major changing as well. They didn’t yell, fight or act frustrated and helpless. They stood their ground, were clear with their expectations, stayed positive and let Jenny figure things out. You might have already figured out what those “couple of basic principles” are that parents need to apply in order to break out of a parent-teen Control Battle, but I’ll share them here. Have — and communicate — a positive vision of your teenager. Believe in them, know they can succeed, establish appropriate standards, and whether they are making good choices or bad, stay positive in thought, tone and action. Privileges must be earned. So when they don’t have a privilege, it isn’t because the parent took it away. It’s because they haven’t earned it yet, or because they’ve failed to maintain the standards necessary to continue to have earned it. That way, parents don’t have to wonder what consequence to give their kid. If the teen has not earned, or is no longer earning a privilege, he or she loses it. When they earn it, they get it. It’s as simple as that. By learning and applying these two basic principles, Mary and Al could stay positive, not fight and argue, and could worry a lot less. They essentially put the ball in Jenny’s court which gave her the opportunity to learn and grow. Are we happy with the patterns we’ve created, or do we have some unhealthy entrenched patterns that we wish we could change, but feel like we can’t? It’s not that you can’t change the pattern, it’s just that you’re fighting homeostasis. It sounds like you’ve had your fair share of challenges. Of course, I can’t offer you an extremely detailed reply here in a blog comment, but I do want to thank you for sharing your experiences. I think you will find my book very helpful, and if you wish to speak with me directly, please contact me.